Henley Honda | Honda Certified Vehicles | Honda Civic is Canada's Number One Seller for Sixteen Years! Honda Civic is Canada's Number One Seller for Sixteen Years! We’ve talked about why Canada loves the Honda Civic and Civic Nation has proved it yet again! That’s right, the Honda CIvic has been named the Best-Selling passenger vehicle in Canada for the 16th year in a row! In 2013, Honda Canada sold 64,063 Civics, outselling our closest competitor by 9,303 vehicles. If you can’t tell, we’re pretty stoked. With more than 3.9 million Civics sold since 1973, Honda has worked to constant improve the vehicle you’ve come to love so well. The 2014 Civic is on Henley Honda’s lot now, so come in and see what all the fuss is about! 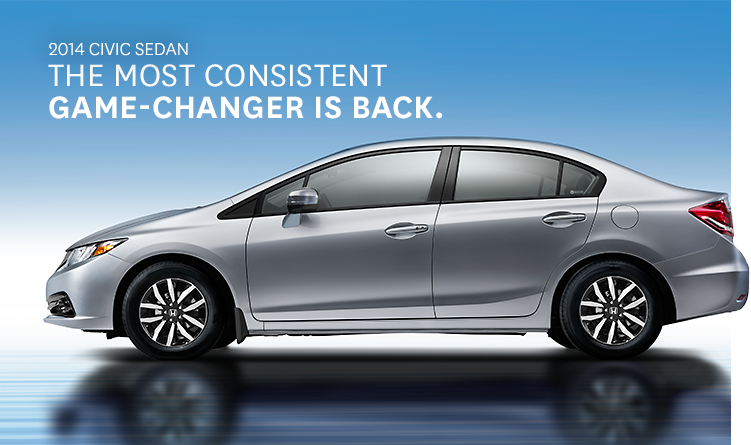 Check out Honda.ca’s announcement to learn more about the Civics’ Celebration of being the best for 16 years running!